Fig. 4. 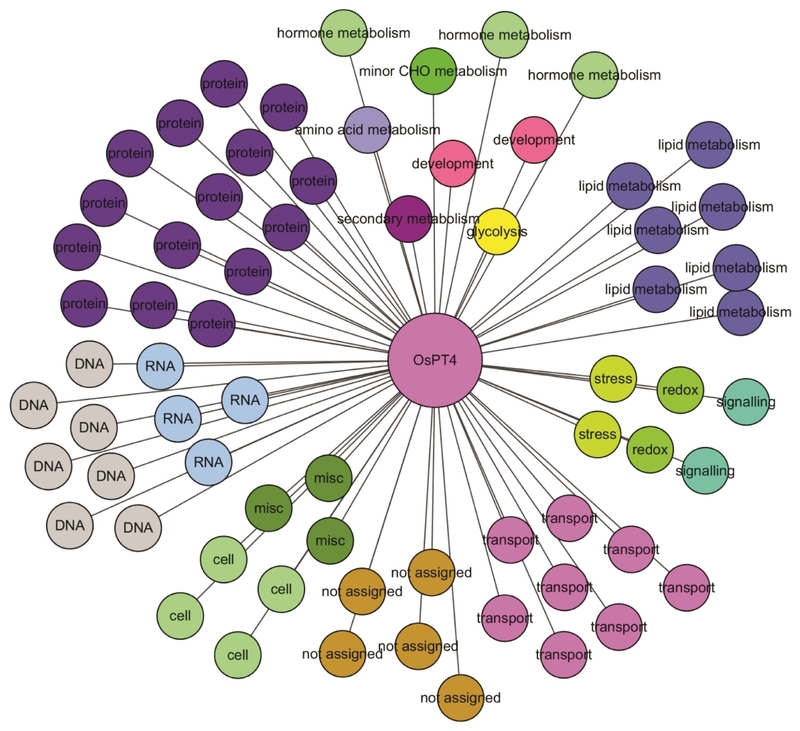 Regulatory model of OSPT4 using the predicted protein-protein interaction network and MapMan terms.